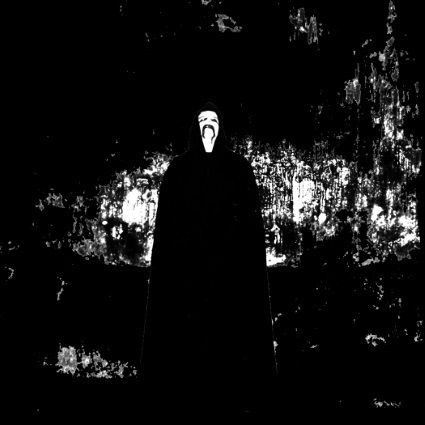 Portugal black metal act Black Cilice have not been around for decades or anything, releasing its first demo in 2009, but the one man project has three full-length and a ton of splits and some demos already to its name. Shrouded in anonymity, the project (as of this writing) is set to play its first show on December 16th, 2016. In celebration of this, Iron Bonehead is releasing Nocturnal Mysticism, two new tracks from the project. The rawness and noisiness of prior releases is all there, and these two tracks come to create some very haunting material. The slow opening to “Part I” helps to create a dark and dreary atmosphere before things pick up a couple of minutes later. The sound is plenty raw on this release still, which Lo-Fi lovers will appreciate. Despite any rawness to the production, there is still very discernible riffs and melodies being created along with the drums being very entrancing and captivating. The underlying guitar and sounds create a nice bit of noise, and the occasional screams add a layer of agony to the music. All within the first track, the stage is set or something forbidding and dark. The music has a very downtrodden feel to it, and instead of the melody helping to show us the light, it just creates more sorrow and agony. “Part II”, and the final track, starts off bit more noisy than the prior song, and is even at times slightly faster in the pacing. There is still some hypnotic guitars conjuring a haunting and eerie mood, but when the track picks up, it ventures more into noise territory and becomes more chaotic. The atmosphere from the opening of the release is done away with in favor of terror, and taking in the songs together it creates this sense of sadness followed by being distraught and afraid. Seeing as this is really two tracks made of a larger whole, there is no way to really get the entire experience of the release with just one song or by playing the second track first. This is meant to be taken in all at one time from beginning to end to really get the picture. However, at 15 minutes, it is not hard to sit and absorb what is being given, and it is very much worth the time. 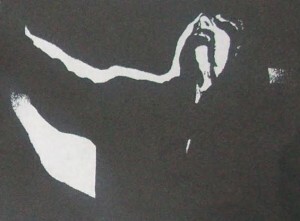 Black Cilice has a slew of recordings, and if you can find them they are worth a listen. With the new EP though, the project has something special. Taking its brand of rawness and using it to create more 15 minutes of a musical journey is wonderful. There really is an emotional story being conjured up in these two tracks and if given the proper time, it will seep into your mind and you will find yourself on the journey as well. This is not meant to be just background music, but to be payed attention to and any investment made will pay off in spades. 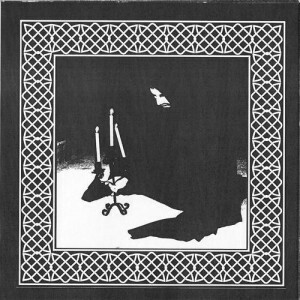 A welcome addition to the Black Cilice catalogue and to black metal in 2016. This entry was posted in Bands, Black Metal, Reviews and tagged black, black metal, Blood Tyrant, Candelabrum, Cirrhus, El-Ahrairah, Forbidden Citadel Of Spirits, Iron Bonehead, LLN, lo-fi, Mons Veneris, Moon, Muutilation, raw, raw black metal, Recluse, Satanize, Vetala, Vlad Tepes.